With a week left until their current labor deal expires, Philadelphia’s public school principals and administrators are increasingly likely to begin the school year without a contract. The existing agreement between Teamsters Local 502 of the Commonwealth Association of School Administrators — which represents administrators along with a smattering of other school employees — and the School District of Philadelphia ends Aug. 31. 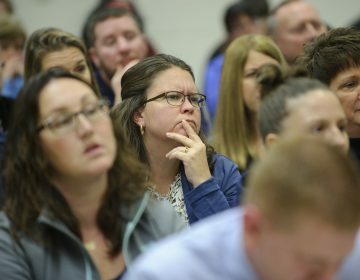 Union president Robert McGrogan acknowledged that his members are unlikely to ratify a new deal before next Tuesday, or even before school opens Sept. 7. The ongoing rift between CASA and the district means Philadelphia students will almost certainly walk into buildings this fall where most staff — and nearly all instructional staff — are working under expired contracts. The School District of Philadelphia and the Philadelphia Federation of Teachers have been unable to strike a new labor deal for nearly three years. That’s a significant setback for the district, which has stated repeatedly that it is focused on achieving labor peace now that the school system has a small budget surplus. “We remain optimistic about attaining an agreement, and we’re continually talking with CASA about how we can proceed,” said district spokesman Kevin Geary. All this comes a little over two months after Philadelphia schools enjoyed a run of encouraging labor news. 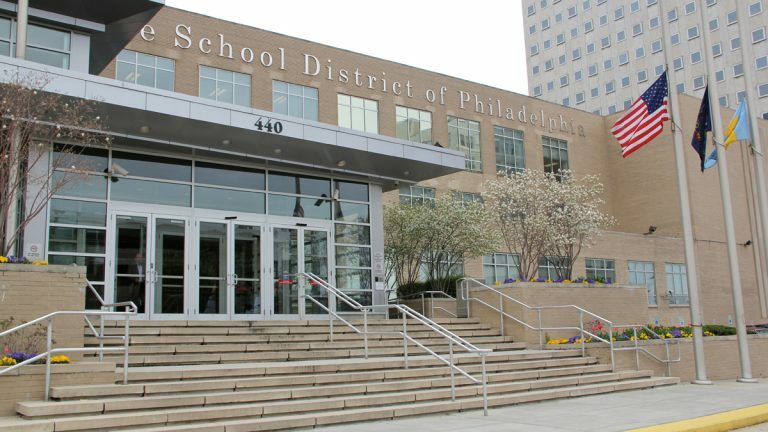 In mid-June, the union representing blue-collar workers in Philadelphia schools inked a new contract with the district. At about the same time, CASA reached a tentative agreement with the school district and brought that agreement before its members for ratification. That, however, is where the momentum stopped. CASA membership rejected the proposed deal by what McGrogan described as “a decisive margin.” Although, at the time, McGrogan believed it was possible for a new deal to be reached and ratified before the old contract expired, those hopes faded over the summer. Now it appears the district will open the 2016-17 school year with two lingering labor impasses, and major ones at that. The rejected deal would have given CASA members a 3 percent bonus (worth a combined $1.3 million), extended the working year for principals to 11 months, and held health care contributions steady. Administrators said the deal didn’t go far enough. Many wanted better work rules that would have defined the number of hours in the working day and strengthened seniority provisions. Others pointed to the working conditions in Philadelphia schools and argued that administrators were being asked to do too much in a period of districtwide austerity. 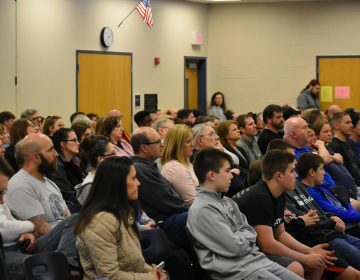 “The district … believes that the pendulum is coming back and that conditions are going to improve, but there’s skepticism with regard to me and my membership about whether or not that’s actually going to occur,” said McGrogan. Marilyn Mejia, principal at William McKinley School in Norris Square and CASA’s recording secretary, put the matter bluntly. Mejia said negotiations with district officials had been moving slowly in recent weeks. “I do not believe that any progress has been made right now,” she said. Taking a page from teachers playbook? CASA members agreed to significant concessions in 2014 when the district faced an alarming budget shortfall. District officials say they want to acknowledge that sacrifice with a new deal, but it’s clear CASA members expect larger gains than the district is willing to give. CASA’s givebacks came under threat of imposition, said McGrogan, meaning that the district was prepared to cancel CASA’s contract if it did not realize necessary savings. The district did indeed try that tactic with the teachers union, but subsequent court cases deemed the maneuver illegal. Just last week, the state Supreme Court ruled that the district does not have the power to unilaterally cancel contracts with its teachers union. Without a test case, it’s unclear how that decision might apply to other unions. Still, McGrogan said, the fact that the PFT never offered concessions and never suffered the consequences of a cancelled contract may be weighing on the minds of CASA members as they determine their bargaining demands. Perhaps they feel they’re owed more. Perhaps they feel their union erred in its previous surrender. Though the tentative agreement CASA reached from the district improved on its current deal, it did not restore all facets of the prior contract — including a 12-month working year. McGrogan, who is nearing the end of his second three-year term as union president, is up for re-election this fall. 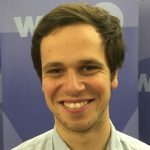 There are no official challengers yet, but if any emerge it could certainly complicate the union’s negotiating position. There are also external political changes that could influence CASA’s decision-making. The School Reform Commission is slated to replace three of its five members in January. Depending on those appointments — two will be made by Mayor Jim Kenney and one will be made by Gov. Tom Wolf — CASA could bargain under more favorable conditions if it holds out. SRC member Bill Green recently accused the PFT of stalling in order to negotiate with a more sympathetic commission, although his comments focused specifically on the teachers union. 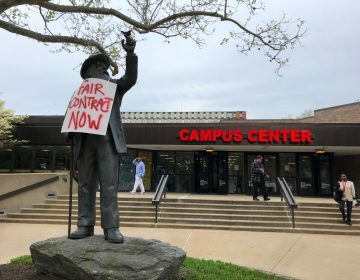 If CASA’s contract expires on Aug. 31 as expected, the union will abide by a “status quo” contract that maintains all work conditions and holds all members at their current salary. Working under their version of a status quo contract, Philadelphia teachers have gone years without raises. Though McGrogan said the lack of a contract could hurt administrator hiring and retention, current district principals said the labor turbulence won’t change their approach to the job. Mejia agreed. In the harried mind of a principal, there’s little time to meditate on collective bargaining.